Have you ever experienced the euphoric feeling after being finally able to snag that cult favorite eye shadow palette? Or after finally getting your hands on that fabulous looking lipstick that has been ruling beauty-sphere for months? Shopping favorite beauty products give me an immense, ecstatic feeling...yes, I know it is not good for my bank account’s health, but sometimes, there are few products that make everything worth it. 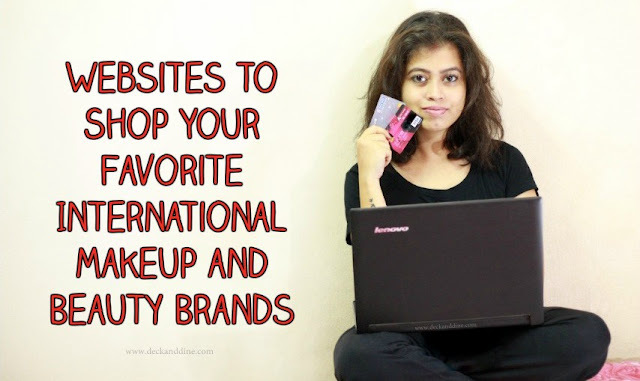 However, being a crazy makeup lover and staying in India, doesn’t always go well together; because, most of the amazing makeup products from international brands aren’t available in India. But don't worry. Today, I'll be sharing with you a list of top genuine international websites that ship makeup products to India. One of the most reliable websites through which you can deliver your USA and UK buys to India. Well, this is not a shopping website, but a shipping/ mail box service. They will provide you a Mailbox or a virtual address for your online shopping. 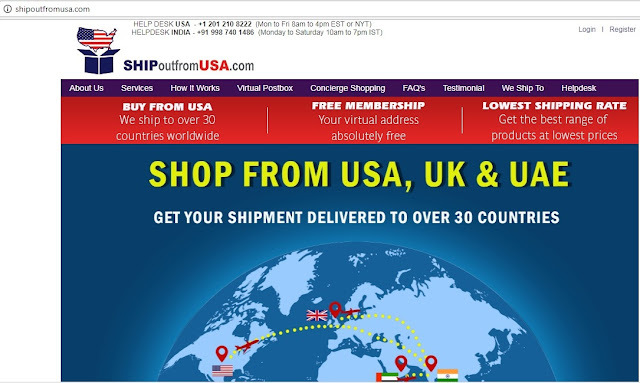 All you have to do is shop your favourite things from any online store in US and UK and get them delivered to that virtual address. Membership is free, but you will be charged shipping cost. I would suggest you to go for “free shipping” deals from the shopping websites to avoid two way shipping. Another thing, if you want to buy something which isn’t available online, their personal shoppers will assist you with your purchase. They will source the product for you, pack it up securely and ship it to your registered address. Sounds cool, isn’t? 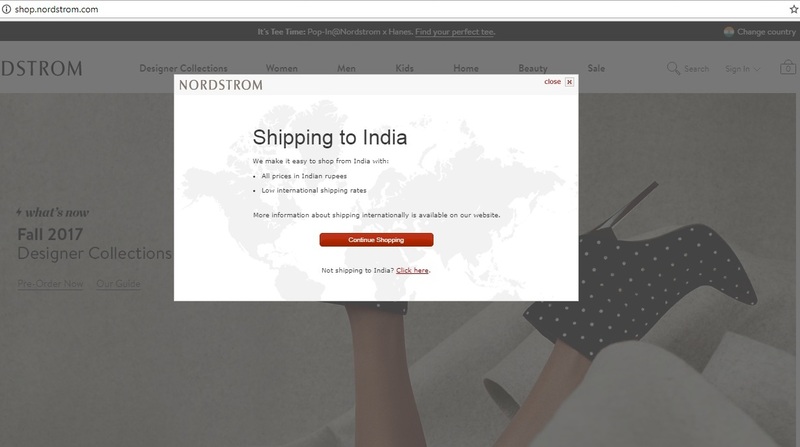 Shipping to India normally takes a week. I have personally used their service, and am quite happy. Something similar to ShipOutfromUSA. 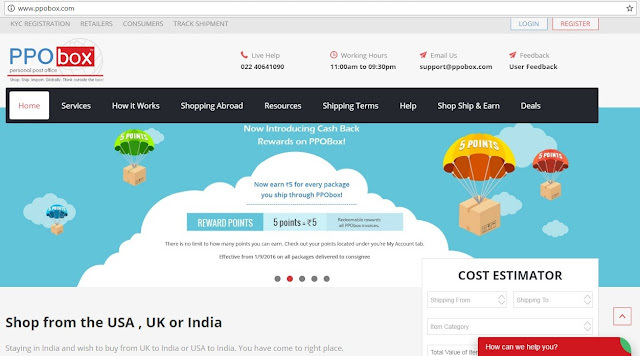 All you need to do is register on PPOBox and then shop online with a USA / UK retailer. During checkout enter the address/ account details provided to you by PPOBox. Your products will be delivered to them and they will deliver it to you. 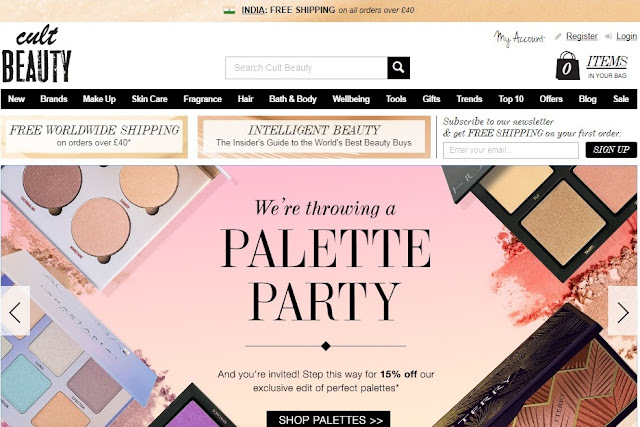 This is one of my favorite websites who deliver international makeup brands to India. I have lost count how many times I have shopped from them. 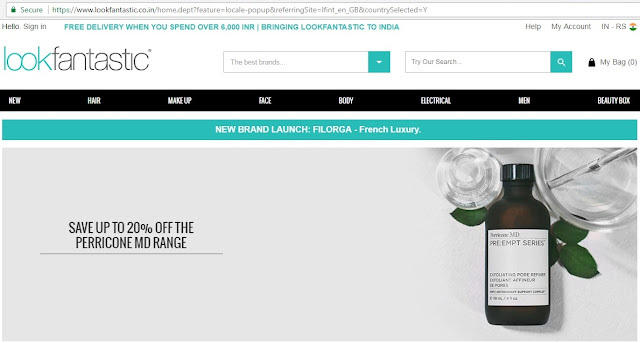 Another Indian makeup junkie’s favorite website. You’re definitely going to be spoilt for choice. Shipping to India is free over 100$. 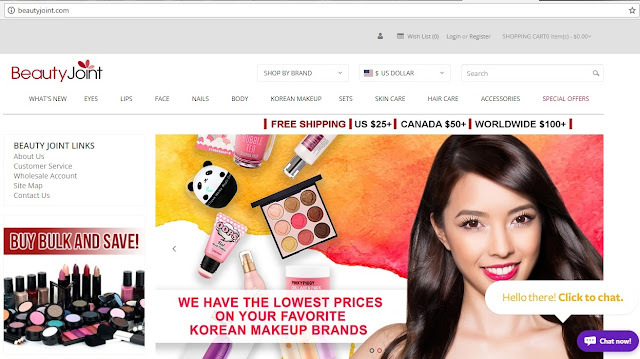 Another website that stocks a whole host of makeup products from brands worldwide, at very reasonable rates. Moreover, they have sale running and discount pouring almost throughout the year. They are said to be Europe's number one retailer for beauty. 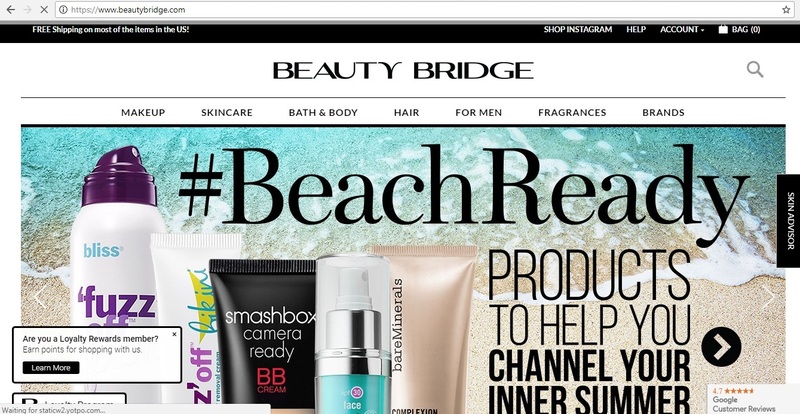 They are the ultimate destination for hair, beauty, skincare and all things gorgeous. Good news, now they have an India based website. Everything is calculated in rupees. Delivery is FREE over Rs 6,000; otherwise it's now only Rs 500. Parcels take between 14-21 working days to reach you. It is UK based and can be a guide to the world's best beauty products. Free shipping in India is above 40£. Another reliable name in the world of Beauty and Fashion. 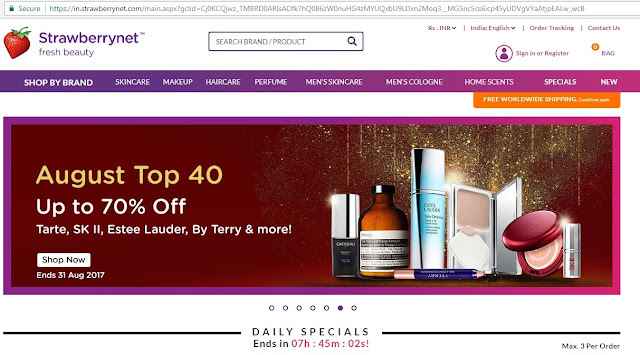 It is one of the world's leading multi-channel retailers. From skin care, mineral cosmetics and bath and body to fragrances, hair and nail care products, they have everything you need or want. These are my favorites, let me know if you are aware of any other websites that ship to India. Also PLEASE NOTE that if there is any custom duty applicable you will be/ may be intimated after payment clearance and that will have to be paid by you at the time of delivery. Much needed post. Thank you for sharing. This is so helpful post, I have been a regular buyer from cultbeauty, will check out the others. What a lovely post. Im sure its going to help so many people. 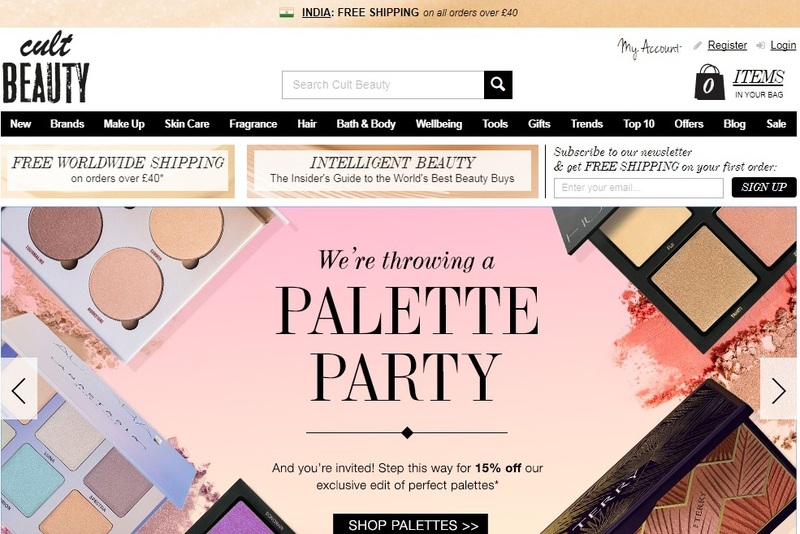 BeautyBay, FeelUnique , Cult Beauty also ship to India if you want to try. The Indian beauty freaks will be so happy with this!